How can one know Christ’s divine essence? “Jesus said to him, I am the way, the truth, and the life….” “The words that I speak to you I speak not of Myself: but the Father that dwells in Me, He does the works. Believe Me that I am in the Father, and the Father in Me: or else believe Me for the very works’ sake” (Jhn 14:6, 10–11). 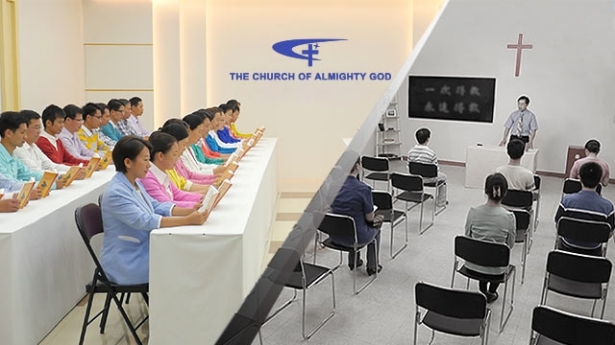 To study such a thing is not difficult, but requires each of us to know this truth: He who is God’s incarnation shall hold the substance of God, and He who is God’s incarnation shall hold the expression of God. Since God becomes flesh, He shall bring forth the work He must do, and since God becomes flesh, He shall express what He is, and shall be able to bring the truth to man, bestow life upon man, and show man the way. Flesh that does not contain the substance of God is surely not the incarnate God; of this there is no doubt. To investigate whether it is God’s incarnate flesh, man must determine this from the disposition He expresses and the words He speaks. Which is to say, whether or not it is God’s incarnate flesh, and whether or not it is the true way, must be judged from His substance. 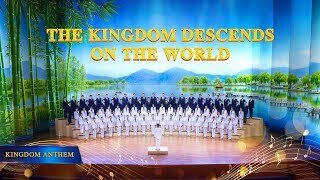 And so, in determining[a] whether it is the flesh of God incarnate, the key is to pay attention to His substance (His work, His words, His disposition, and many more), rather than external appearance. If man sees only His external appearance, and overlooks His substance, then that shows the ignorance and naivety of man. Knowing God must be done through reading and understanding God’s word. 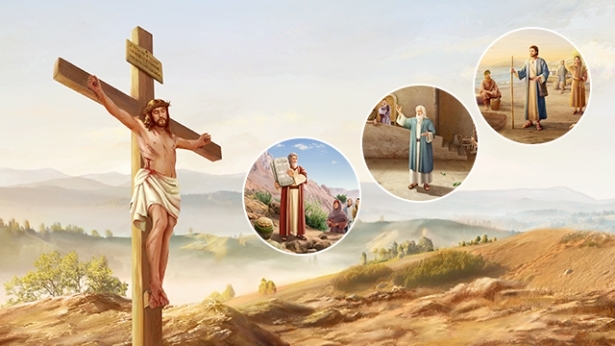 Some say: “I haven’t seen God incarnate, so how could I know God?” In fact, God’s word is an expression of God’s disposition. From God’s word you can see God’s love and salvation for mankind, and His method for saving them…. This is because God’s word is expressed by God Himself as opposed to using man to write it out. It is personally expressed by God—He is expressing His own words and His inner voice. Why do we say that they are heartfelt words? Because they are issued from deep down, expressing His disposition, His will, His thoughts, His love for mankind, His salvation of mankind, and His expectations of mankind…. Among God’s words are harsh words, gentle and considerate words, and there are some revelatory words that are not in line with human wishes. If you look only at the revelatory words, you will feel that God is quite stern. If you look only at the gentle words, it appears that God does not have much authority. Therefore, you must not take this out of context, but look at it from every angle. Sometimes God speaks from a gentle and compassionate perspective, and people see God’s love for mankind; sometimes He speaks from a strict perspective, and people see God’s disposition that will tolerate no offense. Man is deplorably filthy and is not worthy of seeing God’s face or of coming before God. That people can now come before God is purely God’s grace. God’s wisdom can be seen from the way He works and the meaning of His work. People can still see these things in God’s word even without directly contacting Him. When someone who has true understanding of God comes into contact with Christ, he’ll be able to match this up to his existing understanding of God, but when someone who has only theoretical understanding encounters God, he cannot see the correlation. The truth of the incarnation is the most profound mystery; it is difficult to fathom. Summarize God’s words on the mystery of the incarnation, look at them from all angles, then pray together, ponder, and fellowship on this aspect of truth more. Then, the Holy Spirit will enlighten you and give you understanding. Since man has no chance to come in contact with God, he must rely on this kind of experience to feel his way through and enter in a little bit at a time in order to achieve true understanding of God. During the last days, when God becomes flesh, He principally uses the word to accomplish all and make all plain. Only in His words can you see what He is; only in His words can you see that He is God Himself. When God incarnate comes to earth, He does no other work but the speaking of words—thus there is no need for facts; words suffice. That is because He has principally come to do this work, to allow man to behold His power and supremacy in His words, to allow man to see in His words how He humbly hides Himself, and to allow man to know His entirety in His words. All that He has and is are in His words, His wisdom and wondrousness are in His words. In this are you made to see the many methods with which God speaks His words. Man comes to know God by experiencing His work, and there is no other correct way to know God. The process by which people experience God’s words is the same as the process by which they know the appearance of God’s words in the flesh. 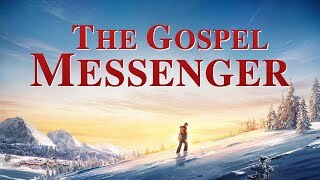 The more people experience God’s words, the more they know the Spirit of God; through experiencing God’s words, people grasp the principles of the Spirit’s work and come to know the practical God Himself. In fact, when God makes people perfect and gains them, He is making them know the deeds of the practical God; He is using the work of the practical God to show people the actual significance of the incarnation, and to show them that the Spirit of God has actually appeared before man. 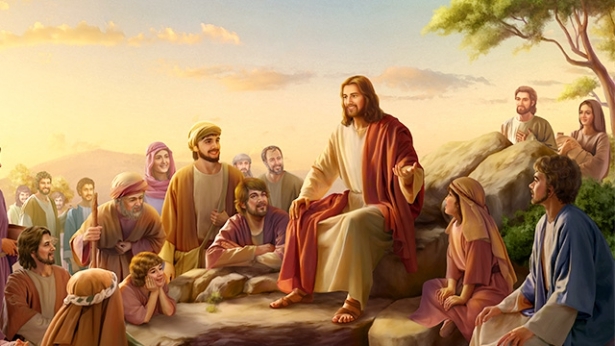 Although the appearance of God incarnate is exactly the same as a human, He learns human knowledge and speaks human language, and sometimes He even expresses His ideas through mankind’s means or expressions, the way He sees humans, the essence of things, and the way corrupt people see mankind and the essence of things are absolutely not the same. His perspective and the height at which He stands is something unattainable for a corrupt person. This is because God is truth, the flesh that He wears also possesses the essence of God, and His thoughts and that which is expressed by His humanity are also the truth. For corrupt people, what He expresses in the flesh are provisions of the truth, and of life. These provisions are not just for one person, but for all of mankind. 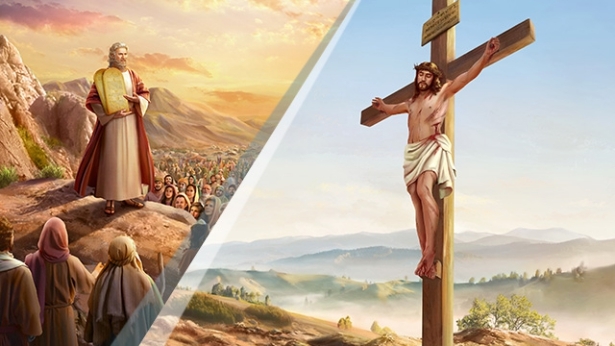 … No matter how ordinary, how normal, how lowly God’s incarnate flesh is, or even how much people look down on Him, His thoughts and His attitude toward mankind are things that no man could possess, and no man could imitate. He will always observe mankind from the perspective of divinity, from the height of His position as the Creator. He will always see mankind through the essence and the mindset of God. He absolutely cannot see mankind from the height of an average person, and from the perspective of a corrupt person. When people look at mankind, they look with human vision, and they use things such as human knowledge and human rules and theories as a measure. This is within the scope of what people can see with their eyes; it’s within the scope that corrupt people can achieve. When God looks at mankind, He looks with divine vision, and He uses His essence and what He has and is as a measure. 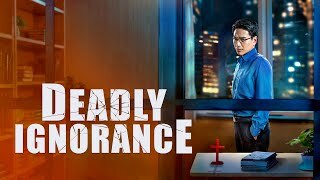 This scope includes things that people cannot see, and this is where God incarnate and corrupt humans are entirely different. This difference is determined by humans’ and God’s different essences, and it is these different essences that determine their identities and positions as well as the perspective and height from which they see things. 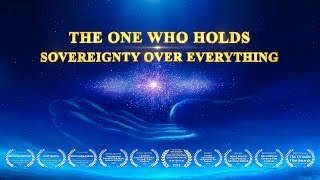 You will not see God hold similar views on things that people have, and moreover you will not see Him use men’s viewpoints, their knowledge, their science or their philosophy or man’s imagination to handle things. Instead, everything God does and everything He reveals is connected to truth. That is, every word He has said and every action He has taken concerns the truth. This truth and these words are not some baseless fantasy, but rather they are expressed by God due to God’s substance and His life. Because these words and the substance of everything God has done are truth, we can say that God’s substance is holy. In other words, everything God says and does brings vitality and light to people; it allows people to see positive things and the reality of those positive things, and allows them to walk the right path. These things are determined because of God’s substance and they are determined due to the substance of His holiness. Isn’t everything that’s being revealed in God’s current words about mankind’s corrupt disposition? God’s righteous disposition and holiness are shown through your ideas and your motives, and through what you reveal. He, also living in a land of filth, has not been tainted with filth in the least. He lives in the same filthy world as you, but He possesses reason and insight; He detests filth. You yourself cannot see the filthy things in your own words and actions but He can—He can show them to you. Those old things of yours—your lack of cultivation, insight, and sense, your backward lifestyle—have all been uncovered through His exposure of them now. 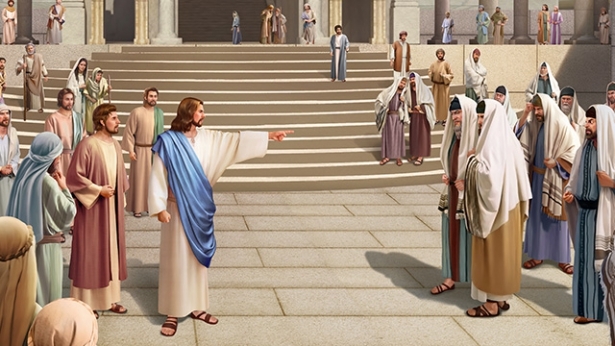 God has come to the earth to work this way, so that people have seen His holiness and His righteous disposition. He judges and chastises you and makes you understand yourself. Sometimes your demonic nature appears and He can show it to you. He knows mankind’s essence like the back of His hand. He lives the way you do, eats the same food as you, lives in the same kind of home as you, yet He knows much more than you do. But what He hates the most are mankind’s life philosophies and their deceit and crookedness. He hates these things and He is unwilling to pay attention to them. He particularly hates mankind’s fleshly interactions. Although He doesn’t entirely understand some of the general knowledge of human interactions, He is fully aware when people expose some of their corrupt disposition. In His work, He speaks and teaches people through these things in them, and through these He judges people and reveals His righteous and holy disposition. This is how people become foils for His work. It is only God incarnate who can reveal all kinds of mankind’s corrupt dispositions and all of Satan’s ugly faces. He does not punish you, He would just have you be a foil for God’s holiness, and then you cannot stand firm on your own because you are too filthy. He speaks through those things that people reveal and He exposes them so that people may know how holy God is. He will not let go of even the slightest filth in humans, not even the smallest filthy idea in their hearts or words and actions that are not in line with His will. Through His words, the filth in no man and no thing will remain—it will all be exposed. It is only then that you see that He truly is different from people. He is thoroughly disgusted by even the slightest filth in mankind. Sometimes people even don’t understand, and say: “God, why are You always angry? Why are You not considerate of mankind’s weaknesses? Why don’t You have a little forgiveness for mankind? Why are You so inconsiderate to man? You know how corrupt people are, so why do You still treat people this way?” He is disgusted by sin; He hates sin. He is particularly disgusted by any rebelliousness there may be in you. When you expose a rebellious disposition He is disgusted beyond measure. It is through these things that His disposition and being can be expressed. When you compare it to yourself, you will see that although He eats the same food, wears the same clothing, and has the same enjoyments as people, though He lives alongside and with mankind, He is not the same. Isn’t this the very meaning of being a foil? It is through these things in people that God’s great power is thrown into sharp relief; it is darkness that sets off the precious existence of the light. He is well aware of the essence of man, He can reveal all kinds of practices pertaining to all kinds of people. He is even better at revealing human corrupt disposition and rebellious behavior. He does not live among the worldly people, but He is aware of the nature of the mortals and all the corruptions of the worldly people. This is what He is. Though He does not deal with the world, He knows the rules of dealing with the world, because He fully understands human nature. He knows about the Spirit’s work that man’s eyes cannot see and that man’s ears cannot hear, both of today and of the past. This includes wisdom that is not a life philosophy and wonder that people find hard to fathom. This is what He is, made open to people and also hidden from people. What He expresses is not what an extraordinary person is, but the inherent attributes and being of the Spirit. He does not travel around the world but knows everything of it. He contacts the “anthropoids” who have no knowledge or insight, but He expresses words that are higher than knowledge and above great men. He lives among a group of obtuse and numb people who do not have humanity and who do not understand the human conventions and lives, but He can ask mankind to live out normal humanity, at the same time revealing the base and low humanity of mankind. All of this are what He is, higher than what any flesh-and-blood person is. For Him, it is unnecessary to experience a complicated, cumbersome and sordid social life to do the work that He needs to do and thoroughly reveal the essence of corrupt mankind. The sordid social life does not edify His flesh. His work and words only reveal man’s disobedience and do not provide man with the experience and lessons for dealing with the world. He does not need to investigate society or man’s family when He supplies man with life. Exposing and judging man is not an expression of the experiences of His flesh; it is to reveal man’s unrighteousness after long knowing man’s disobedience and abhorring mankind’s corruption. The work He does is all to reveal His disposition to man and express His being. Only He can do this work, it is not something that a flesh-and-blood person could achieve. With regard to His work, man cannot tell what kind of person He is. Man is also unable to classify Him as a created person on the basis of His work. What He is also makes Him unable to be classified as a created person. Man can only consider Him a non-human, but does not know which category to put Him in, so man is forced to list Him in the category of God. It is not unreasonable for man to do this, because He has done a lot of work among people that man is unable to do. God Himself has no elements of disobedience; His substance is good. He is the expression of all beauty and goodness, as well as all love. Even in the flesh, God does not do any that disobeys God the Father. Even at the expense of sacrificing His life, He would be whole-heartedly willing and make no other choice. God has no elements of self-rightness and self-importance, or those of conceit and arrogance; He has no elements of crookedness. All that disobeys God comes from Satan; Satan is the source of all ugliness and wickedness. The reason that man has qualities alike those of Satan is because man has been corrupted and worked on by Satan. Christ has not been corrupted by Satan, hence He has only the characteristics of God and none of those of Satan. 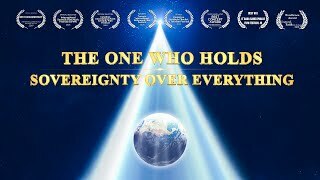 No matter how arduous the work or weak the flesh, God, while He lives in the flesh, will never do anything that interrupts the work of God Himself, much less forsake the will of God the Father in disobedience. He would rather suffer pains of the flesh than go against the will of God the Father; it is just as Jesus said in prayer, “Father, if it be possible, let this cup pass from Me: nevertheless not as I will, but as You will.” Man will choose, but Christ would not. Though He has the identity of God Himself, He still seeks the will of God the Father, and fulfills what is entrusted to Him by God the Father, from the perspective of the flesh. This is something that is unattainable to man. Next：Is Christ really the Son of God or is He God Himself? If this work were done by the Spirit—if God did not become flesh, and instead the Spirit spoke directly through thunder so that man had no way to have contact with Him, would man know His disposition? If only the Spirit did the work, then man would have no way of knowing His disposition. People can only behold God’s disposition with their own eyes when He becomes flesh, when the Word appears in the flesh, and He expresses His entire disposition through the flesh. What is God’s church? What is a religious group? “... Shall also the coming of the Son of man be. … Therefore be you also ready: for in such an hour as you think not the Son of man comes.” When that day comes, the Son of man Himself will not know it. The Son of man refers to the incarnate flesh of God, who shall be a normal and ordinary person. Even He Himself does not know, so how could you know? What is being saved? What is attaining full salvation? What exactly is knowing God? Can an understanding of Bible knowledge and theological theory be considered knowledge of God? Is Christ really the Son of God or is He God Himself? What is the nature of the problem of man not acknowledging the truths expressed by Christ? What are the consequences of man not treating Christ as God? How Should Christianity Be Understood?